This is a key holder with an R1200GSA logo on it. 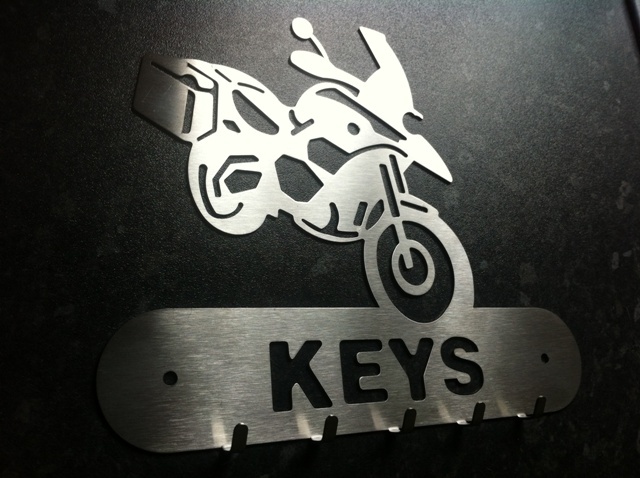 Its a true bit of bling but it does serve a purpose and remind us of the bikes we love so dearly! Way over the top as usual, high quality laser profiled stainless steel and hand finished by me to give it a quality feel.